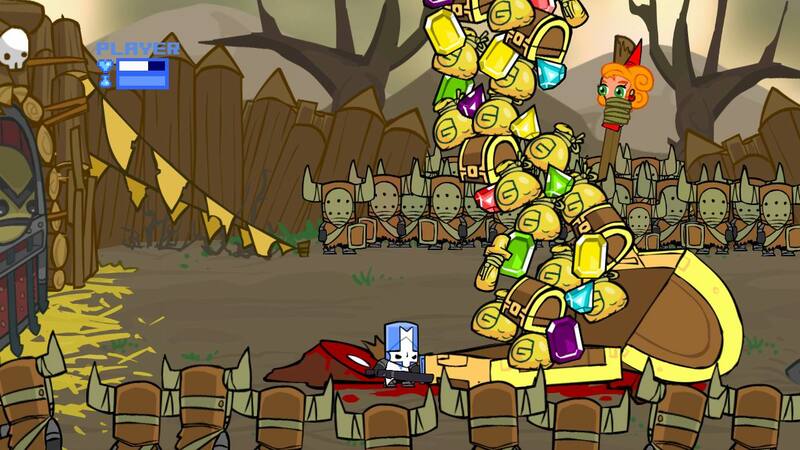 Since it first hit XBLA in 2008, Castle Crashers has consistently been one of the better-selling titles on the service and arguably resurrected the side-scrolling brawler for a new generation single-handedly. The game’s also held a steady place on the XBLA leaderboards, and currently approaches the three million milestone. In order to be eligible, contestants must be in the top 100 weekly ranked Arena players by noon PST on Aug. 17. Those players will compete in 1-on-1 single-elimination matches on Aug. 25 until a victor is crowned, meaning virtual gladiators will have a full week to hone their skills and prepare for battle to the (virtual) death. The first place winner will win a gold Xbox 360 (a classic style) as well as 25 squeezy chickens, a Behemoth T-shirt, a Castle Crashers mini-figurine in the color of the player’s choice, a beanie hat, nine Castle Crashers phone charms, and a Necromancer figurine signed by the Behemoth crew. Second place gets all of that, minus the Xbox and 15 chickens instead of 25 (and one charm instead of nine); third place gets four Castle Crashers mini-figurines (red, blue, green and orange) as well as the T-shirt, beanie and a phone charm. Everyone in the top 50 will get a prize, says Behemoth, and the top 24 will get something nice as well. The contest will be held in the game’s Arena mode, a competitive multiplayer mode which pits players in a fight to the death in one of five arenas. For now, the tournament is for Xbox players only; PlayStation Network players can rest easy until the fall.